Conduct your own environmental stewardship project in 2018. Applicants should embody the spirit of the Apprentice Ecologist Initiative™ by demonstrating personal leadership, initiative, and environmental stewardship in their project. 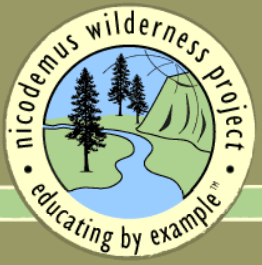 Essays will be judged by a committee of Nicodemus Wilderness Project board members, volunteers, and past Apprentice Ecologist award winners. While there is no minimum/maximum length for essays, most of our past winners have written essays that ranged from about 750 to 1,500 words long.